Did you know you can subscribe to comments??? Have you ever been interested in reading the comments on a post but don't want to have to keep going back to the post to check if there is anything new? Or perhaps you asked the blog owner a question and are hoping she comments back? You can hit subscribe right under the comment and you will be emailed! There is an unsubscribe option in the email if you no longer want to get them. I had a few questions after my direct linking post that I thought I would try to answer also. 1. Where do you save this direct link code so it is easy to cut and paste into comments? After I install it in my applications folder I drag it to my dock so it can be opened quickly. I use it all the time! 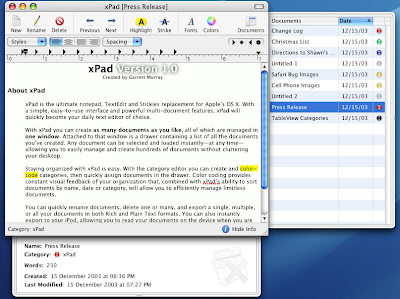 It saves automatically and you can easily switch to different pages. If you are a list person, this is the app for you! 2. I can not get direct linking to work. I get this error message. Can you help me? My husband actually figured this one out. (I told you he was a computer genius.) The problem seems to be saving the code in word or pages. They both automatically are changing your quotes to those fancy curved quotes called smart quotes. You can shut this preference off. Web browsers do not see regular double quotes and smart quotes the same. This is why you are getting the error message. Solutions: Use xpad instead or change your preferences in word or pages. Jenn, Your husband is indeed a genius! Please tell him I said so!! Oh ... one more thing. I am loving xpad! It is now in my dock. I have a PC and I just saved the link in Word. 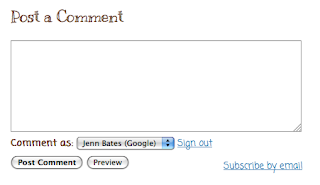 I open it if I'm going to be blogstalking and minimize it, then it's there when I need it. That's probably a really complicated way to do it, but I've only been blogging for a few weeks! Thanks for all of your tips- you're my go-to girl for how to do all this! 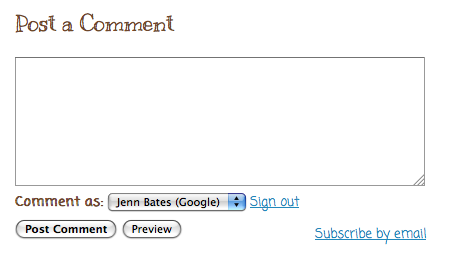 For some reason I can’t comment on my own blog! Is there something that I am doing wrong??? It must be "The Newbie" syndrome!!! I have had people ask me questions and I feel so bad that I cannot respond. Any PC users out there to help??? I love your owl blog design! It's super cute!